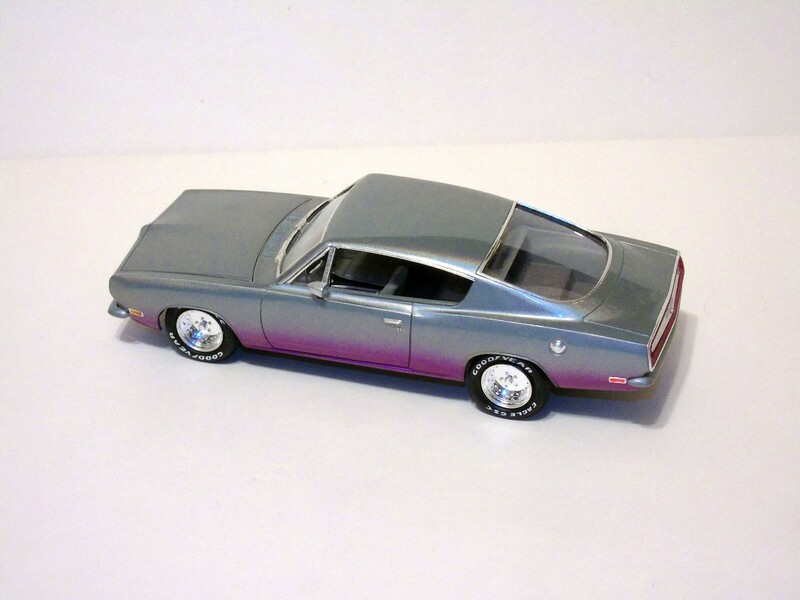 This one has been floating around for a long time, the hood was giving me fits with fit and paint, but I finally won. 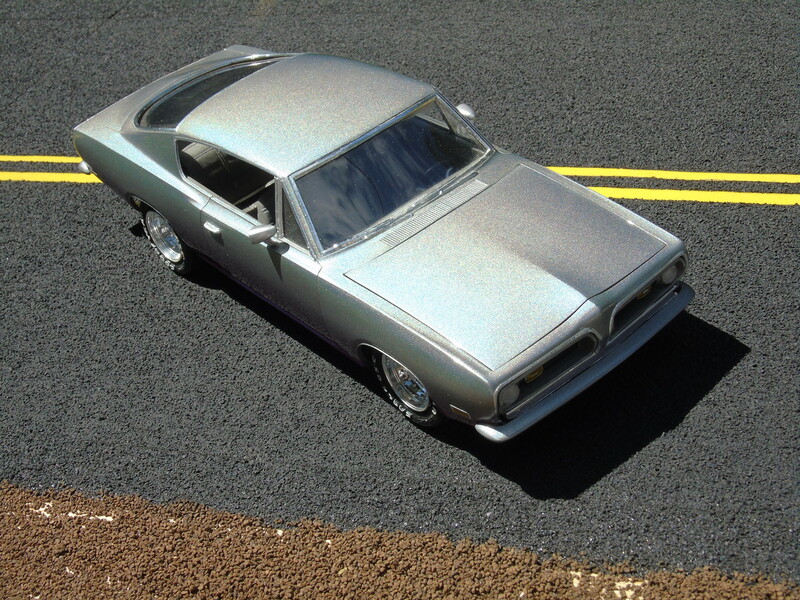 The kit is the old MPC '69 Barracuda, a real dog with lots of fit issues, and I wouldn't suggest it unless you really need to build one. 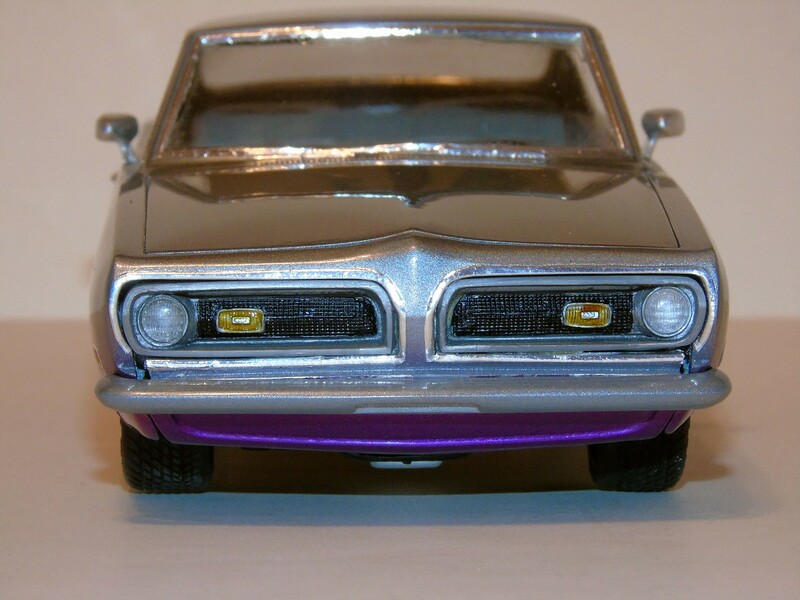 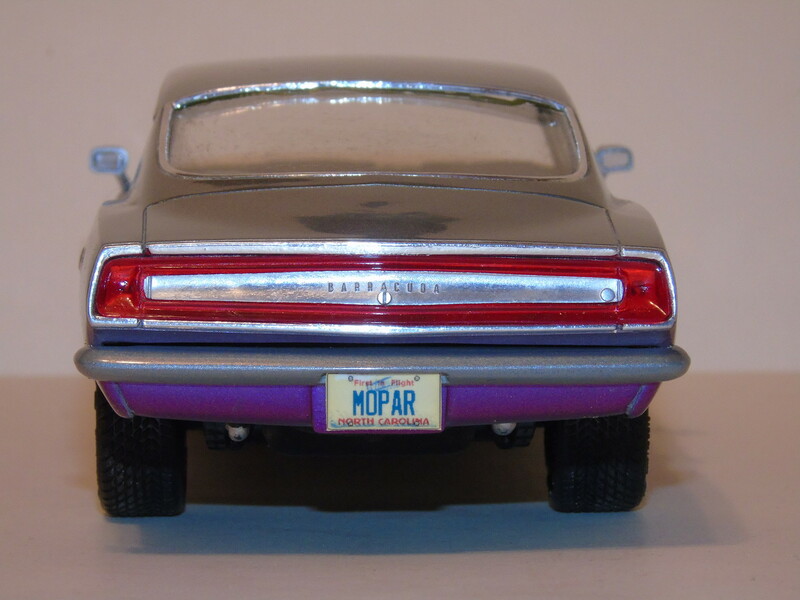 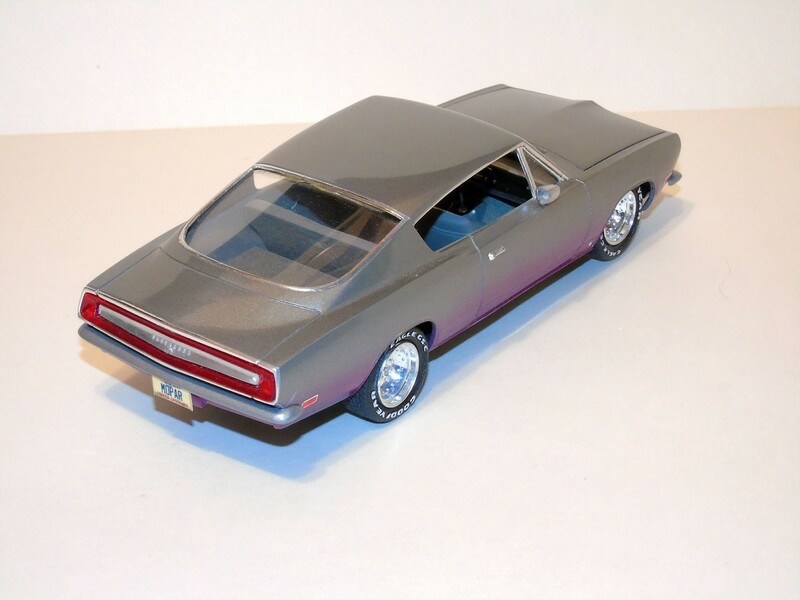 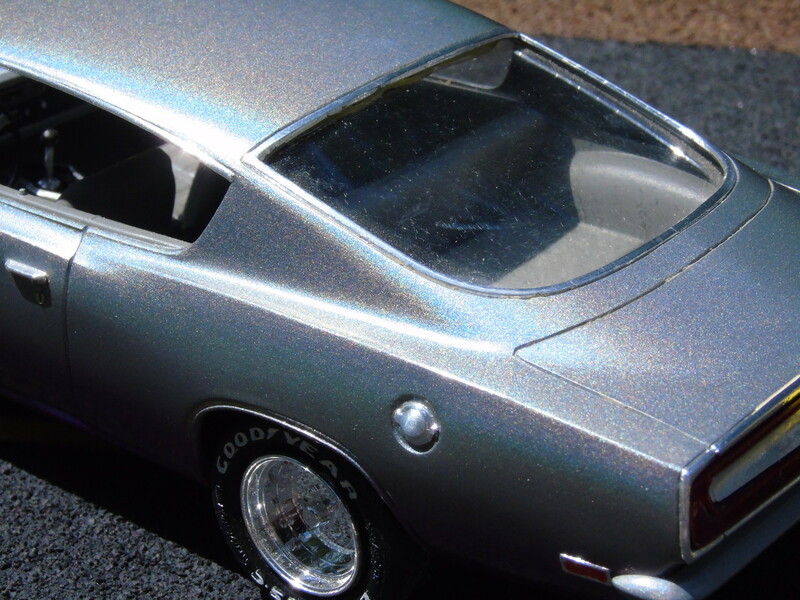 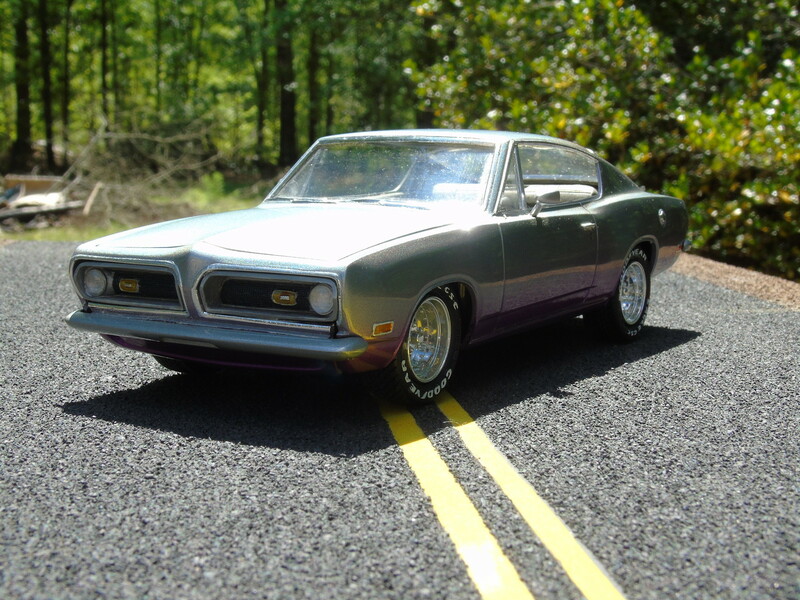 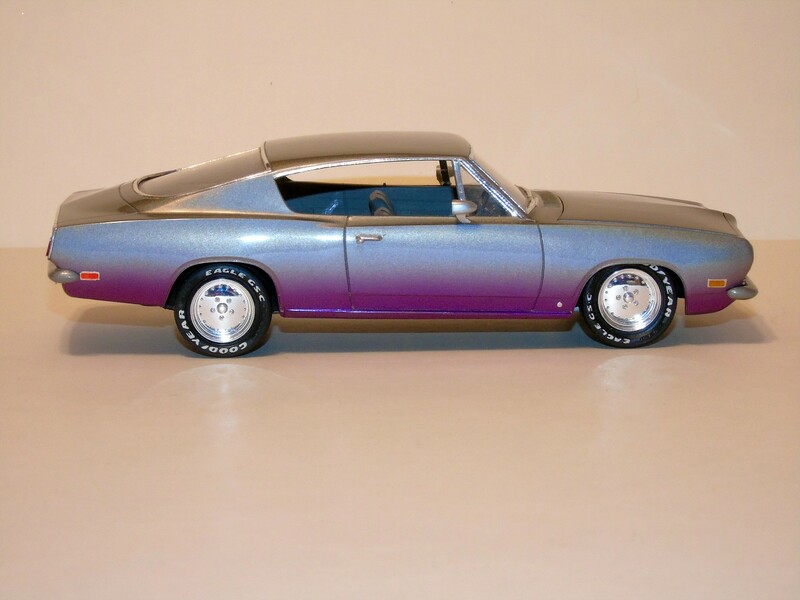 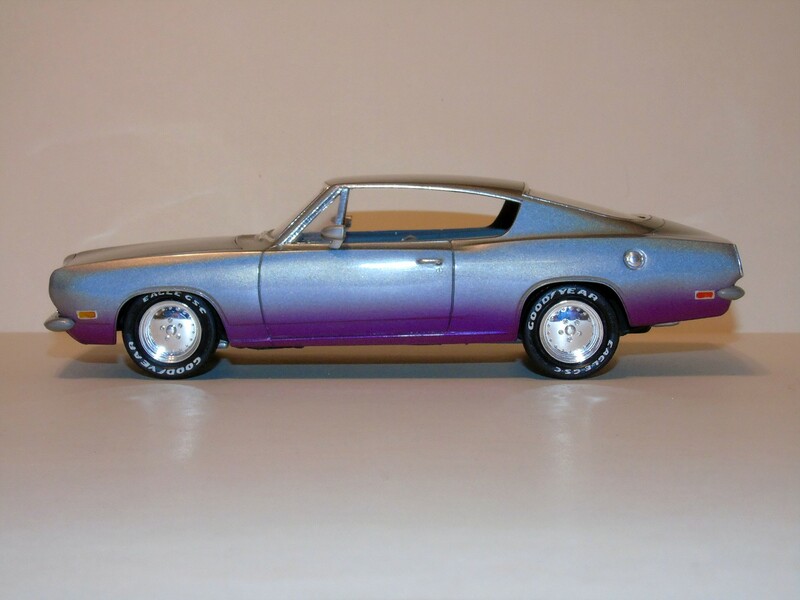 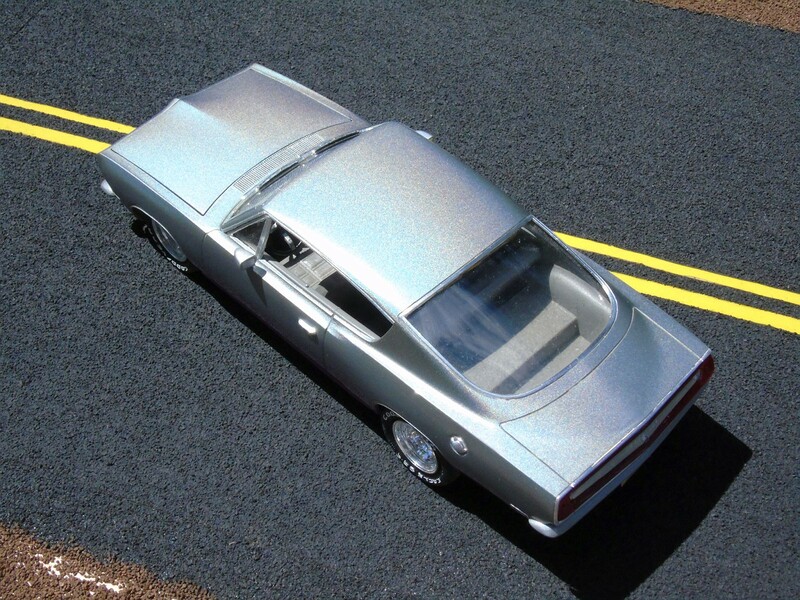 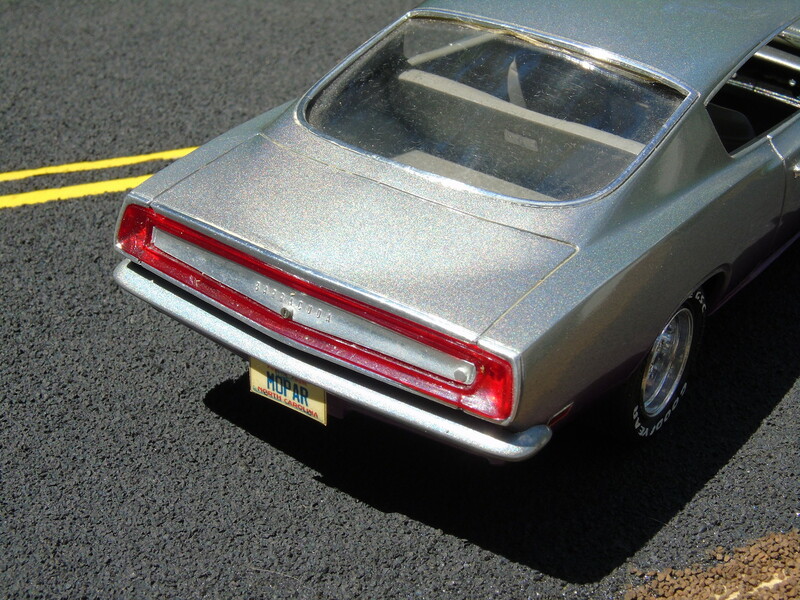 I replaced the kit glass with clear styrene, added some parts box rims and tires, drilled out the molded in headlights and replaced 'em with some form AMT's '71 Charger, and called it good. 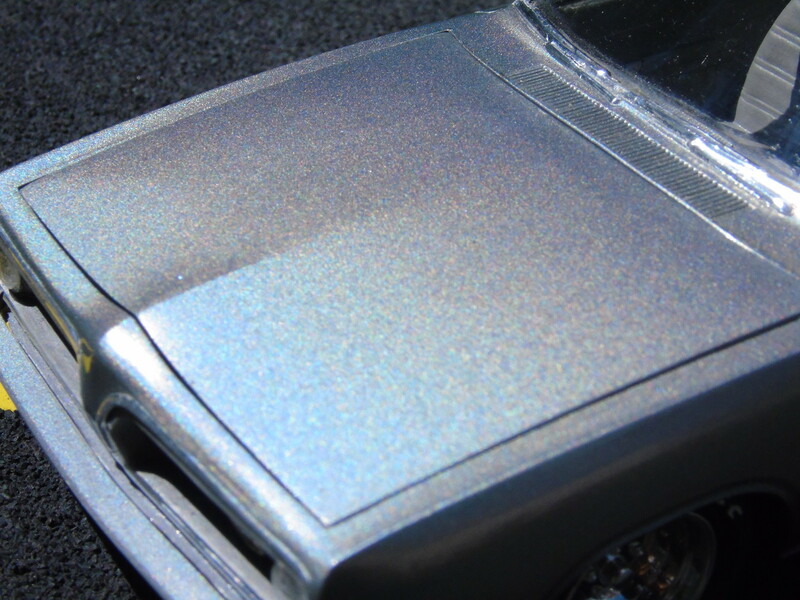 I got some outdoor pics to try to show off the killer Finger Paints Cosmic Dust nail polish...but this stuff is hard to get a good picture of, you've gotta see it in person to appreciate it! 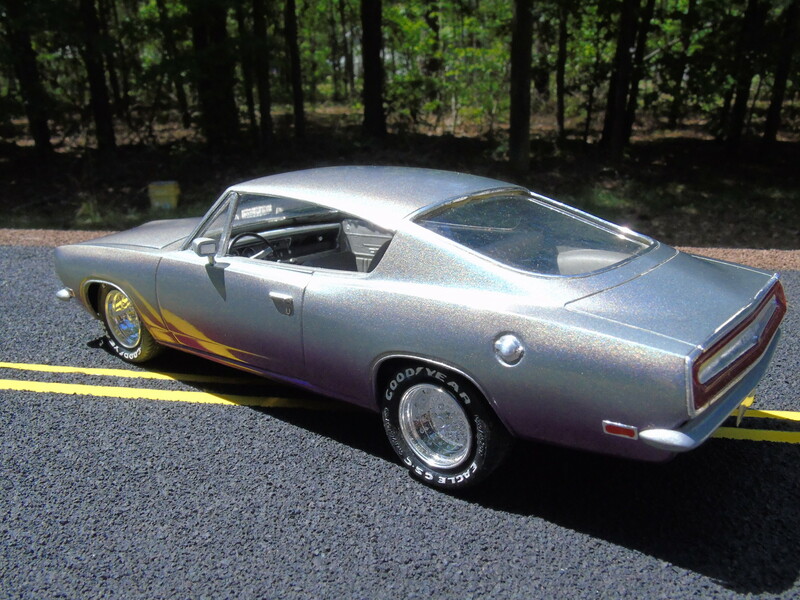 And the best shots I could get trying to capture the effect of the paint...like I said, you really have to see it in person, it's hard to get a good picture of the effect!